The extremely efficient Giotto features thermo syphon system, proprietary low noise system, pump anti blocking device for machine vibration pump, electronic boiler level control, anti burn stainless steel steam wand, and high boiler and heat exchanger capacities. 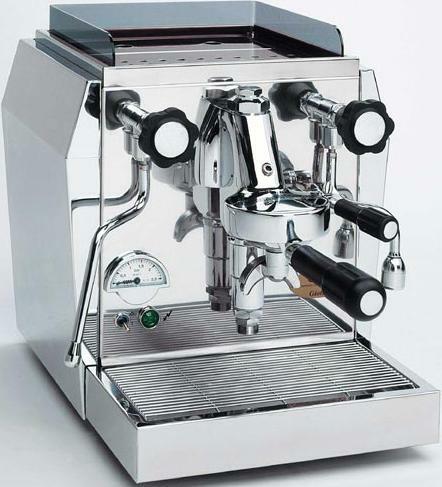 Beautifully finished, all stainless steel with additional chroming of side and rear panels, this coffee machine will satisfy the most demanding taste. Espresso Coffee Machines.